Our staff of 56 dedicated and experienced employees consists of chemists, geologists, biologists, computer scientists, project managers, client service representatives and administration personnel whose main goal is meeting and or exceeding our clients environmental testing needs, while producing the highest quality data possible in a timely manner. Each client, large or small, is assigned a dedicated project manager at ACZ. Our three Project Managers (PM’s) have a combined work experience with ACZ of over 61 years. This extensive experience assures our customers receive accurate and timely laboratory support and a single point-of-contact for all correspondence from bottles orders to questions on final analytical data packages. ACZ’s Manager of Business Development and three Client Service/Sales Representatives have over 34 years of combined experience with ACZ. The client service/sales staff is available for customer support with questions on our analytical capabilities and regulatory methodology with both new and existing clients. We strive to provide our clients quotations within 24 hours for new projects that require analytical support. We are committed to providing our staff the necessary training, instrumentation and resources making sure they stay ahead of the industry’s continually changing technology while also maintaining their expertise for our clients regulatory compliance needs. The combined experience of our project management and client service departments and broad scientific based educational background of our staff provide ACZ Laboratories, Inc. with the comprehensive skills that are required in a modern full service analytical testing laboratory. 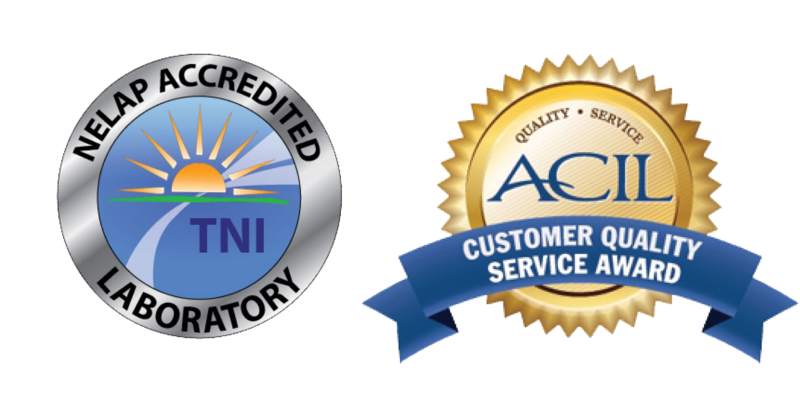 This commitment to our entire staff, coupled with our total dedication to our quality systems, helps ACZ ensure we produce the finest quality analytical data possible with consistent results that our clients have come to depend on since 1980. To provide clients and communities with high quality data to ensure a healthy environment for present and future generations. ACZ Laboratories will be a global leader in the analytical testing industry through innovation, sustained growth, and an inspired workforce. We will continually expand and support our client base through exceptional service and emerging technologies. We will foster a healthy and growth-oriented work environment with the flexibility to enjoy a balanced lifestyle in the Yampa Valley. We will be an involved partner in the community through outreach and local volunteerism. Being fully engaged with our work, our clients, and all of our conversations and interactions.